Rate this Article Online casinos have existed in the legal grey area for many years. Today, we take a deep dive into the topic, and hopefully, be able to understand why the legality of online gambling is such a touchy issue. Since the advent of the first online-casino formation in 1994, a lot of things have drastically changed. Gambling, being an indispensable part of human mentality, rolled in the Internet game really quickly, so that websites could barely deal with an uncontrollable stream of potential punters and players interested in a home-made environment. The reason behind online casinos’ extreme acceptance was that this format allowed to gamble in comfortable surroundings – a computing device and an e-Wallet were enough prerequisites to start a casino session in a proper way. No tickets to Vegas, no headache about limits – Net venues were happy to welcome any new customer out there. Nonetheless, a great problem emerged a few years later simply because literally, any person could sign up without adequate verification. Furthermore, some countries had strict rules regarding gambling, and the Internet, vanishing all borders, could provide access to casinos from anywhere despite gambling embargo. That is the reason why online gambling is often referred to as ‘legal grey area’. On the one side, you do not commit atrocities by staking a couple of dollars in a Blackjack hand. Yet on the other one, you technically disobey the law. 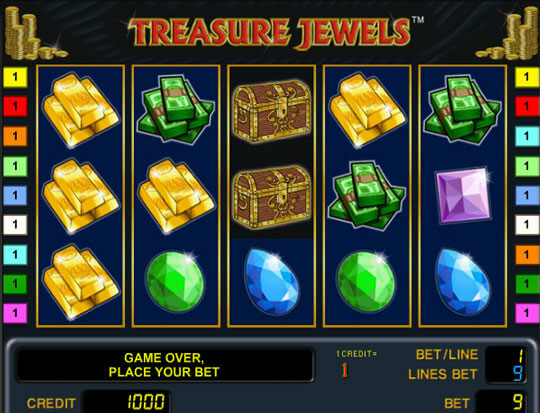 So, does it mean that gamblers, playing a few rounds of slot machines like this innocent one – http://slotmine.com/treasure-jewels/ – would be thrown behind the bars and might expect a SWAT team to shut the door down one day? Speaking briefly, absolutely no. Speaking with longer answers, there are various black and white states which we are going to look at. Whether the matter of lawful issues regards offshore online venues, unclear messaging, file sharing or vague banking, there are still no definite laws regulating this kind of legality. Governments are catching up with the complexities of digital gambling, and therefore almost no country in the world does have explicit instructions to arrest online punters. Surely, the greyness of gambling stems from the way the Internet treats boundaries between countries – some website server could be 4000 miles from your residence and even get regulated by another government where gambling is considered wide open. Thus, a great majority of online casinos are registered under offshore locations like Gibraltar or the Isle of Man. And when you go to an offshore-based site, you theoretically enter the ‘flying space’ of another regime with gambling being taxed and welcomed by authorities. And it makes sense why offshore websites are so hard to get defined under categories. The legal status of offshore operators floats around with no one being able to apply labels and subject, say, Gibraltar to the British or European law system. Especially when an operator accepts players from a gambling-restricted area. It is technically clear business, but at the same time arises many questions to ponder over. So, if some venue allows you to play in spite of your country’s rules, you’ve got nothing to be charged with. As well as the operator itself in case they are situated in another rule region. Almost 70% of European countries allow gambling to come into official business. Some authorities do not even pay attention to licensing of the venue itself and let everything be. The choice is yours, as the old saying goes. Bosnia and Herzegovina, Finland, Germany Greece, Netherlands, Slovakia and a plenty of others allow any kind of gambling, even unregulated one. Some countries restrict unauthorized by regulators casinos and do not permit venues to operate without a license – these are Georgia, Croatia, Romania, San Marino. Andorra, for example, does not have any, literally any rules regarding gambling, so some enthusiasts see this breach as an opportunity. Just like in Andorra, there is a list of countries where gambling is not regulated by the government at all, meaning no laws exist concerning online betting. Monaco, Slovenia, Greenland, some African and South American countries are hovering with the definite status for online casinos. Also, for places where players are prosecuted rarely is there a rule set with regard to Bitcoin wagering. In other words, casinos accepting bets in Bitcoins and other cryptocurrencies have an indefinite status according to the law. No wonder here – Bitcoins and brothers have appeared in the financial market just a while ago, so laws cannot pace up with this high technological tempo. Though, the dark side of gambling is hidden exactly where online casinos are deemed as treacherous law-breakers and punters, involved in betting activities, would be even charged and in some cases arrested for a few years. There are not so many precedents when authorities punished unauthorized gamblers, but still, it is like playing with fire: it may leave you alone or pour down a destructive force on you. So, be aware if you happen to reside in Cyprus, Iceland, Luxembourg, Russia, Poland, Ukraine, Switzerland, Puerto Rico, Bahamas – laws are there incredibly strict. Anyway, the online era is still in the phase of development and worldwide recognition, especially speaking of remote gambling. No one knows how much time it is going to take for online gambling to obtain a concrete status. Most venues beware of countries with punishing regulations and simply exclude participants with IPs coming through the forbidden zone. Some, though, choose shady deals and operate despite illegality.